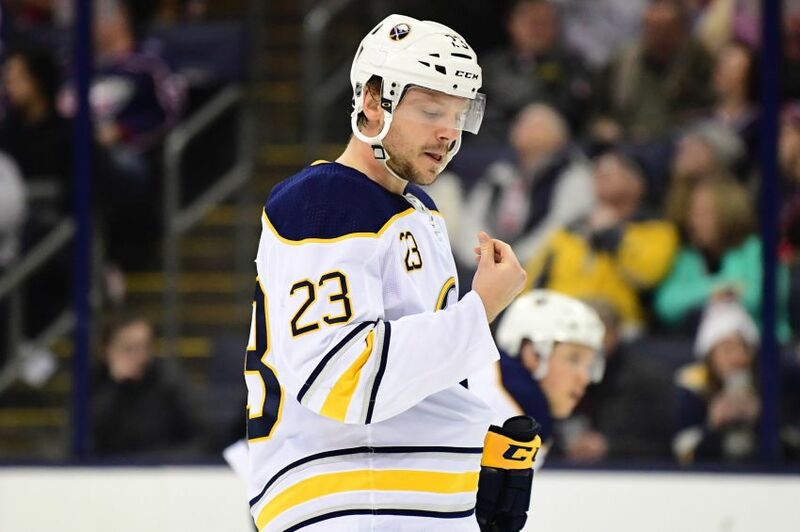 “That’s not what I meant at all,” Reinhart said after the Sabres prepared for this afternoon’s tilt against the Detroit Red Wings inside KeyBank Center. The Sabres repeatedly hung Ullmark out to dry Thursday. On Friday, Reinhart, 23, said the rest of the interview showcased his true feelings. “Near the end, I’m saying we all need to come back and defend more,” Reinhart said. “I was trying to say we need more for our goalies. I think it doesn’t take a hockey genius to know they’ve been our two best guys all year. So I think that’s on me. I was lost in translation. Reinhart said he sent the goalies a text message warning them about his comments. He said the team has already laughed about it. Reinhart wasn’t the only person clarifying his comments Friday. Coach Phil Housley said he misunderstood a question – he was asked if the Sabres’ current defense corps can keep playing – following Thursday’s contest. Housley replied by saying it was general manager Jason Botterill’s job. “I took it as are there any players coming up from Rochester and that’s Jason’s job,” Housley said Friday. “That’s what I meant by that. Jason and I talk on a day-to-day basis about our team. Having allowed a whopping 45 goals over the last 10 games, the mistakes have been rampant. No wonder the Sabres are 3-6-1 over that stretch. They’ve looked nothing like the team that consistently locked down early in the season. For weeks, opponents have been exploiting the Sabres around their own net. At least the Sabres are piling up goals. Having scored 33 times over the last 10 contests, their offense is humming thanks to some consistent secondary scoring. Sabres winger Tage Thompson practiced beside center Evan Rodrigues and Vladimir Sobotka on Friday, meaning he will likely return against the Red Wings. Housley hinted Thompson would likely only sit out one game. Rookie winger C.J. Smith appeared to be the odd forward out.